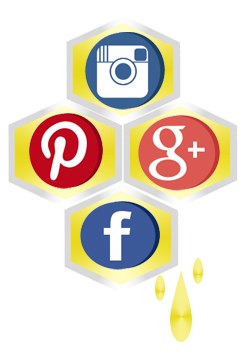 This post may contain affiliate links that help support this website at no cost to you. Do you have a Dollar Tree nearby? Do you shop there? If not, you could be missing out on serious savings! 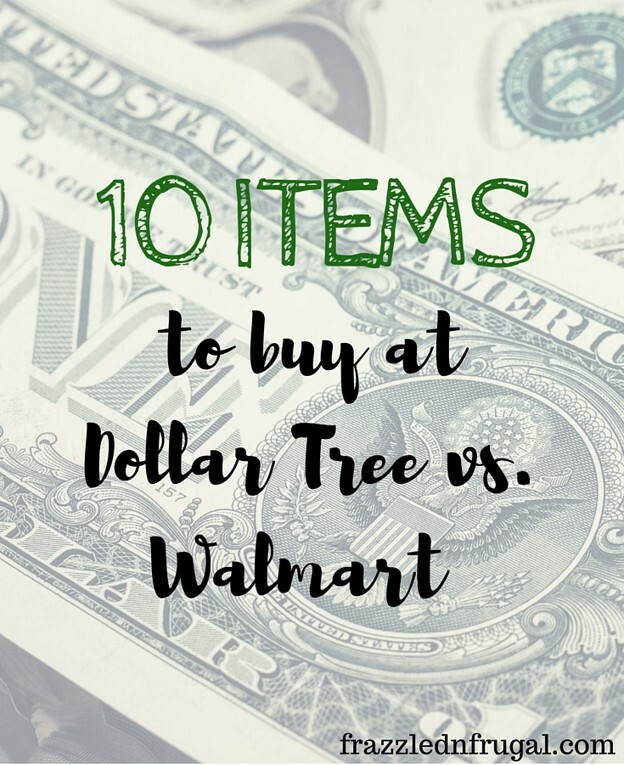 While it’s true that some items are cheaper at Walmart than they are at Dollar Tree, there are quite a few things that you should actually try to always buy at Dollar Tree vs Walmart! As a general rule, I always swing through Dollar Tree before I shop at Walmart. These 10 items to buy at Dollar Tree vs Walmart will help you save on groceries and pay less out of pocket. Plus? Dollar Tree takes coupons which make the savings even better! Ortega Taco Shells – These will cost around $1.50 each at Walmart. You can pick up the boxes of Ortega taco shells for just $1.00 at Dollar Tree. Use the coupons that Ortega puts out every so often and you can score them for just as low as $0.66 each! Betty Crocker Suddenly Salad – Depending on your area, you could be paying as much as $2.00 per box for a salad mix. Buy it at Dollar Tree though and you’ll grab it for just $1.00 each! Add a coupon and pay as little as $0.50 per box! Betty Crocker Fruit Snacks – While these boxes are smaller than the ones you will find at Walmart, the cost still tends to be lower. You can buy 4 count boxes for $1.00 each where at Walmart you will pay $2.50 (at least) for an 8 count box. Add in a coupon and you’ll save even more! Makes for a cheap after school snack. Bottled Apple or Fruit Juice – Juices tend to run $2.00 or more at Walmart, but you can buy the same sized bottle at Dollar Tree for only $1.00. This makes it a great price to stock up at! Shelf Stable Milk – If you like having shelf-stable milk on hand for emergencies or travel, Dollar Tree is the place to get it. Pick up a quart for just $1.00. At Walmart, you will pay $2.50 or more for the same sized container. Hefty Storage Bags – Most Dollar Tree stores sell Hefty food storage bags in both quart and gallon size for just $1.00 per box. If you stack the already low price with a coupon, you’ll save even more! Hefty usually puts out $0.50/2 coupons meaning that you’ll pay just $0.75 per box! Watch for the bonus size boxes to make for an even better deal. Dish Soap – Walmart sells dish soap for as low as $0.88, however, it is usually the smaller 9oz bottles. At Dollar Tree, you can pick up a regular sized bottle for just $1.00 making it the much better buy. Keep an eye out as well for the bonus sized bottles, still, only a dollar but you get more bang for your buck. Paper napkins – Why spend $3.00 or more for napkins for your next party? Grab a package or two at DT for just a buck each. These are great to store in your camper for trips or in the car in case of a spill. Disposable cups – If your party needs disposable cups, Dollar Tree is where to get them. You can pick up the same sized cups and the same sized package for just $1.00 each. They’re even red too if that matters. For a child’s birthday party grab a package of cups and a package of themed stickers and make your own party cups for cheap! First aid items – First aid items like anti-bacterial ointment are super expensive at Walmart. Instead, head to Dollar Tree and grab it for $1.00 each. The packages are smaller, but they still work out to a savings when you figure out the math. Also keep an eye open for Band-Aid brand coupon in the newspapers on Sundays. Many time you can score free band aids with these coupons at Dollar Tree. Keep in mind that not all Dollar Tree stores carry the same items. Yours may not carry these products, but the potential savings that you could see by shopping at Dollar Tree vs Walmart make it worth it to at least check. If you can’t find them at your store, check another that is nearby. That was helpful! Thanks for sharing 🙂 I wish we lived in the states so we could use coupons at dollar stores…sigh! This was so smart! I’m all about saving a penny anyway I can! I just shared this on my FB page. I found that bags of candy and Post-It Notes are much less expensive at Dollar Tree, too. Thank you. I got great deal on dollar tree travel a bigger tube and better strength for a dollar. Walmarts brand was 2.50 for their brand and not as strong (toothpaste. Texture also) love these ideas!! This is a really helpful list. I definitely agree with getting “first aid” kit items from Dollar Tree. They have a pretty extensive selection. I was pleasantly surprised myself. Great ideas. WE like the Dollar store and while we were TTC I was totally that girl buying O-tests and pregnancy tests at the dollar store! lol Those get expensive. Thanks for this great information. Thanks so much for putting this list together…super helpful! I love to buy travel items at Dollar Tree, too (travel-sized tissue packs and the smaller toiletries are perfect!). I agree about the Hefty bags…I buy my quart-sized ones there for travel. I also enjoy their party items and gift wrap…especially during the holidays. We are big fans of Dollar Tree. We got there about every pay day to get some of the things we need. These are great money saving tips that everyone should be glad to know about. Thank you for this great post. I always love popping into our Dollar Tree to see what I can find. I also love that for the most part, it isn’t as crowded as Walmart is. I usually don’t buy very many food products from there, but I love them for cheap party supplies! Yup! The dish soap at dollar tree does make a difference. Same brands you would find at another store but regardless of how much it is at another store, it is still cheaper at the dollar tree. Kind of makes it worth taking the trip to there. Thank your for this. I used to be a coupon blogger but moved to the country and don’t get them anymore. I do however go to Dollar Tree when I’m in the city. Thank you for your coupons too. Love this. I wish we had a Dollar Tree near us! I used to go there all the time when I lived in my previous city. I definitely would check there first because there are so many things you can get at such a great discount. Why pay more than you have to? !